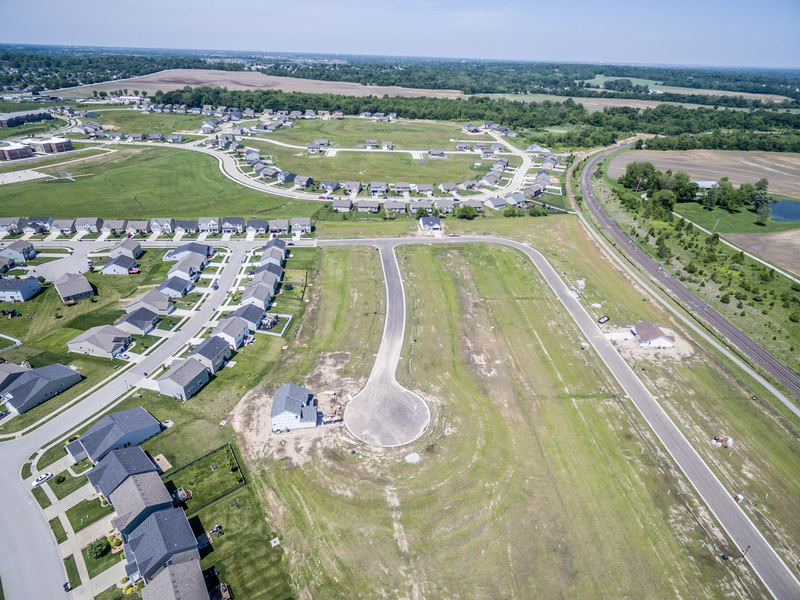 McBride & Son Homes is building in three communities in Southwestern Illinois including the Woodlands at Far Oaks in Caseyville Illinois, Green Mount Manor in Belleville Illinois and Stonebridge Estates in O’Fallon Illinois. All of these communities are proximate to Scott Air Force Base. McBride & Son operates under the philosophy of providing quality housing for all stages of life; including single individuals, young couples, young families, growing families, and empty nesters. McBride offers all types of homes from starter homes to estate homes and low maintenance free villas. McBride offers the absolute best prices in the area. The “Royal II” home offers 4 bedrooms and 2 1/2 baths. Host family dinners or gatherings with friends in the dining room directly off of the kitchen. The dining room offers an arched doorway & columns. The kitchen boasts a large island with a breakfast bar, stainless appliances, and a large walk in pantry. The Breakfast Room and Kitchen are an open concept style - making entertainment ideal in this home. The breakfast area opens to a 12 x 12 deck. The Breakfast Room flows directly into the family room. Curl up in the large family room in front of the gas fireplace with marble surround. 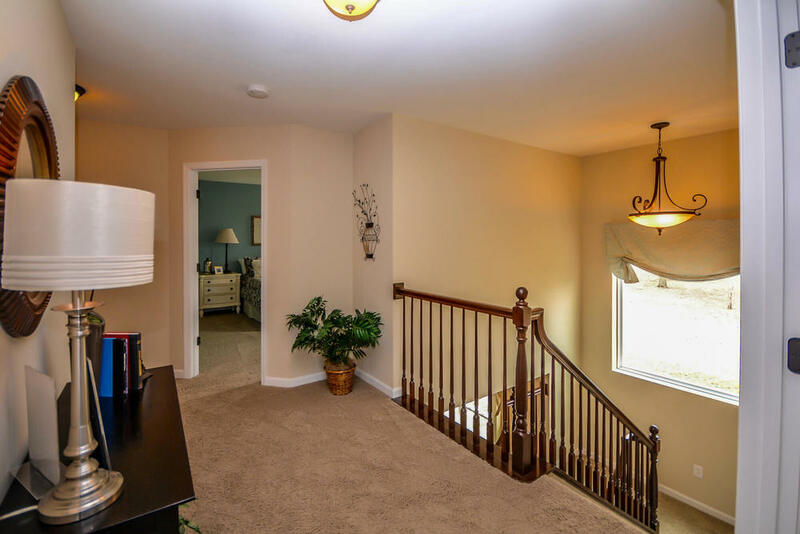 Head upstairs via the open staircase with spindled railing to the second floor where you will find 4 bedrooms. 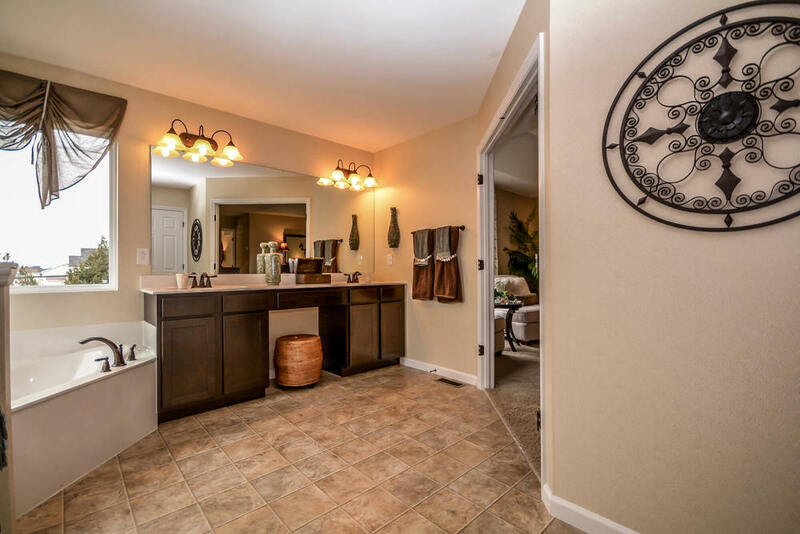 The spacious master bathroom has a double-bowl vanity and a tub. The upgraded master also features a tub and a separate shower. Three additional graciously sized bedrooms and full bath round out the 2nd level. There is plenty of room on the lower 12 x 12 patio for grilling while you enjoy your time outdoors. The basement is roughed in for an additional bath & opportunities abound for future living space! Extra features on the upgraded Royal II include spindled railing to the upper level, 6 Panel doors, satin nickel hardware, and brushed nickel lighting package. 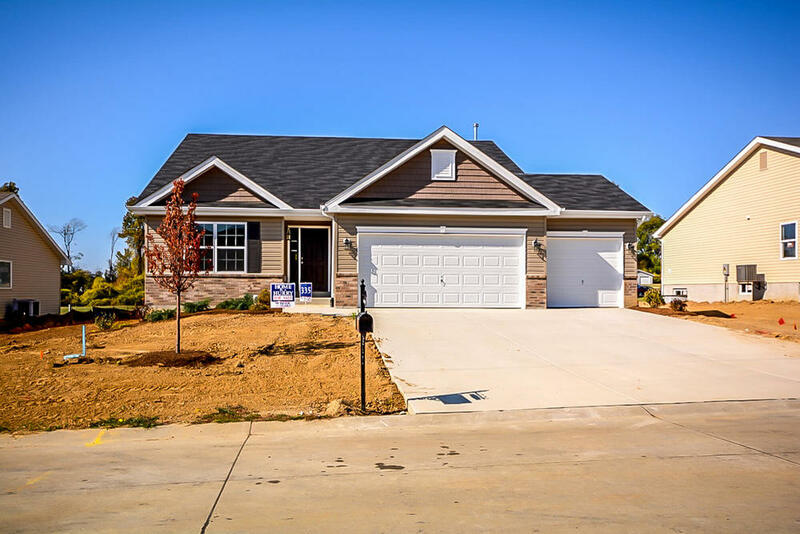 The “Nottingham” is a 4-bedroom home which features fantastic 9' main level floor plan plus a 3 car garage! 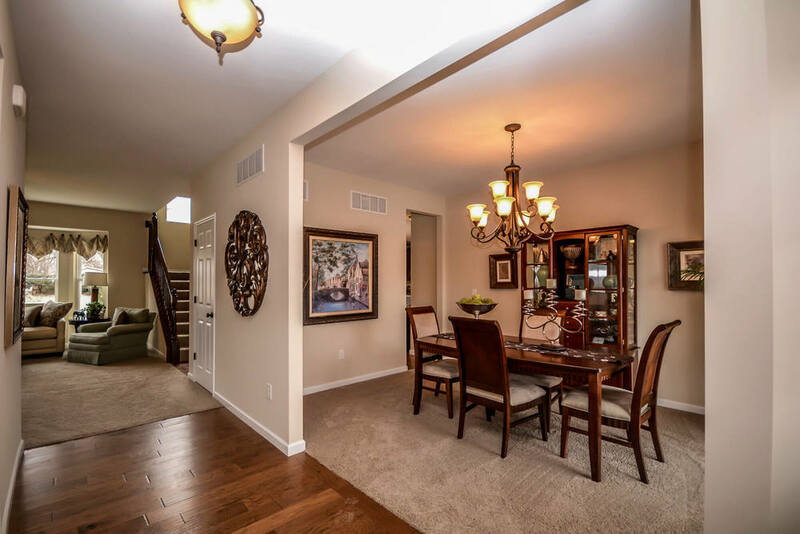 Hardwood floors flow throughout the dining room, kitchen, and the family room. Host family dinners or gatherings with friends in the dining room directly off of the kitchen. 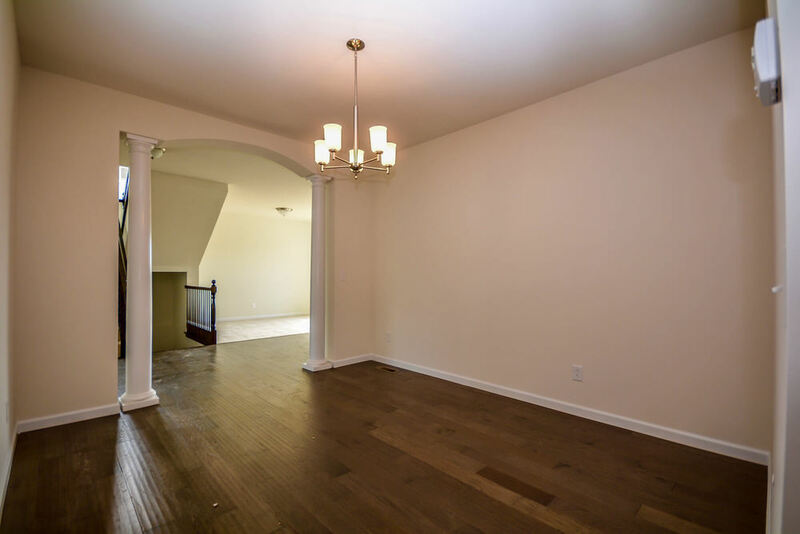 The dining room offers an arched doorway & columns. The kitchen boasts beautiful cabinetry, stainless appliances, and a large walk in pantry. The Breakfast Room and Kitchen are an open concept style - making entertainment ideal in this home. The large desk area just off the kitchen would make for a perfect communication hub for the household. The Breakfast Room flows directly into the family room. 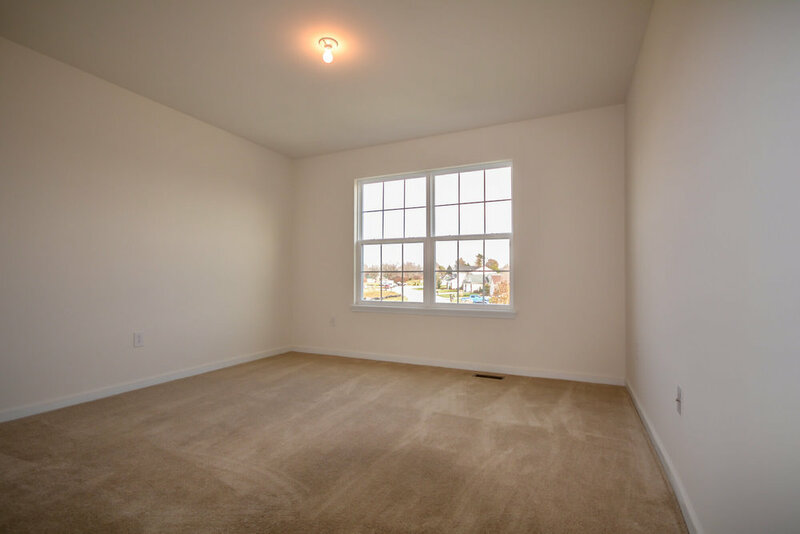 The family room features a wall of windows which allows plenty of natural light throughout the main level. Curl up in the large family room in front of the gas fireplace with marble surround. 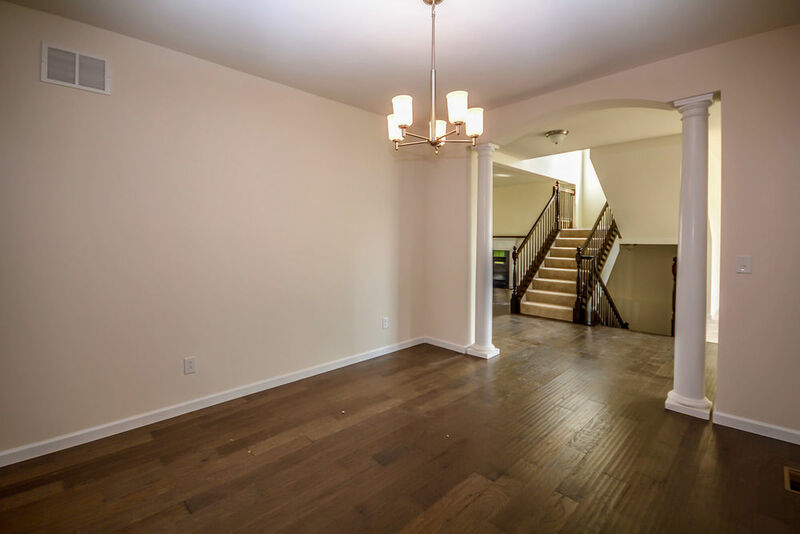 Head upstairs via the open staircase with spindled railing to the second floor where you will find 4 bedrooms and loft area. 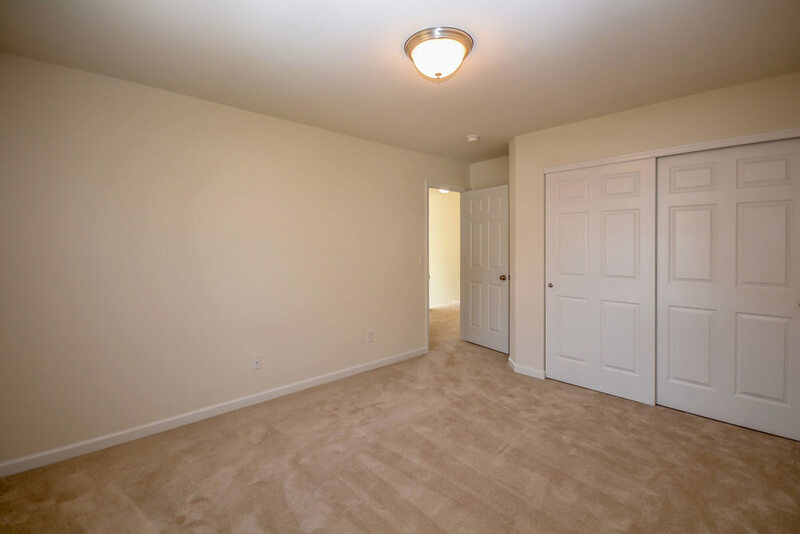 Find an expansive master suite and a HUGE walk in closet! The Luxury Master Bath offers a garden tub with a fixed window above and adult height vanity. 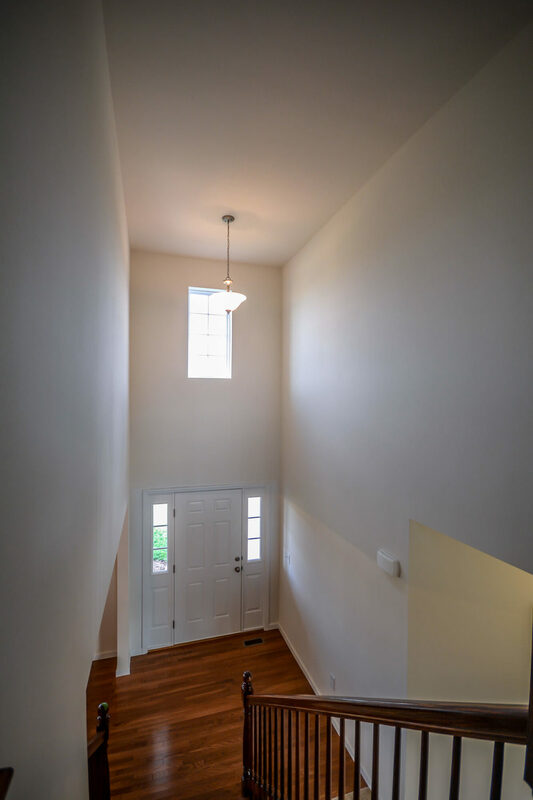 Upstairs, enjoy the large loft area - ideal for game night, study space, television area, or an additional living room. Three additional graciously sized bedrooms and full bath round out the 2nd level. Bedroom 3 also offers a walk in closet. The 9' pour basement has potential for future living space and is plumbed for an additional bathroom. 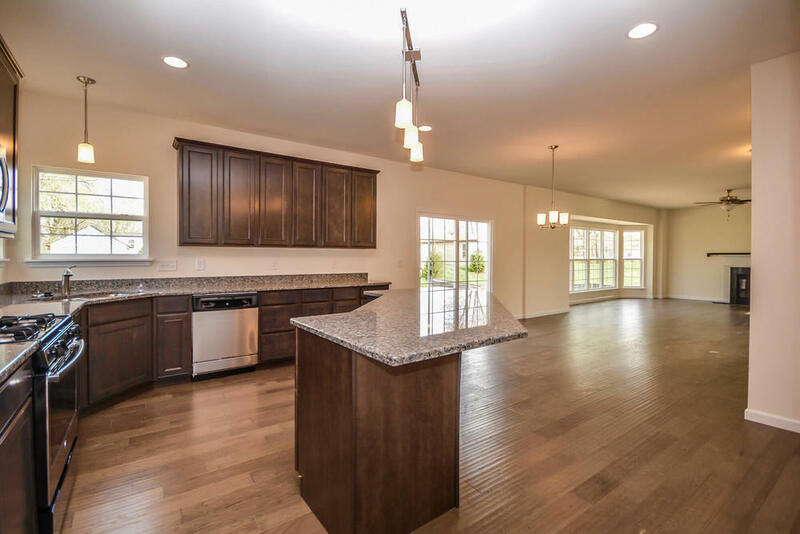 The “Maple” model home offers 2 or 3 bedrooms and 2 baths. 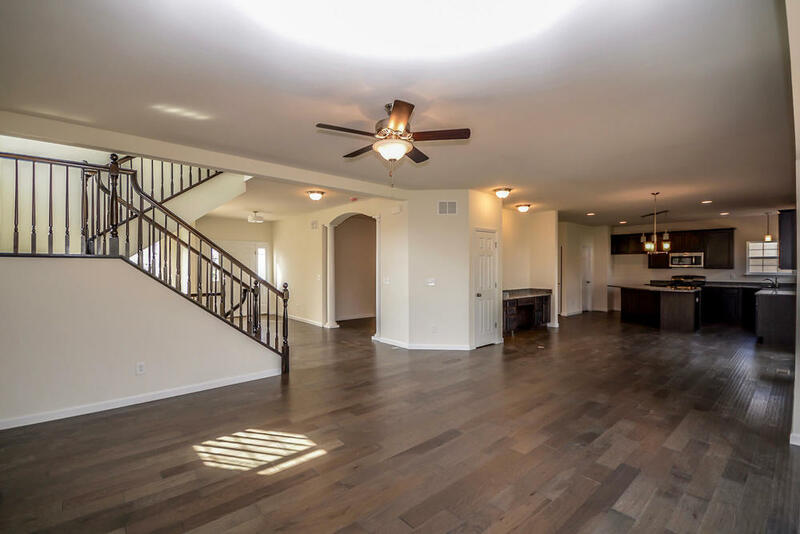 This home is ideal for entertaining with an open concept kitchen, breakfast area, and vaulted great room. 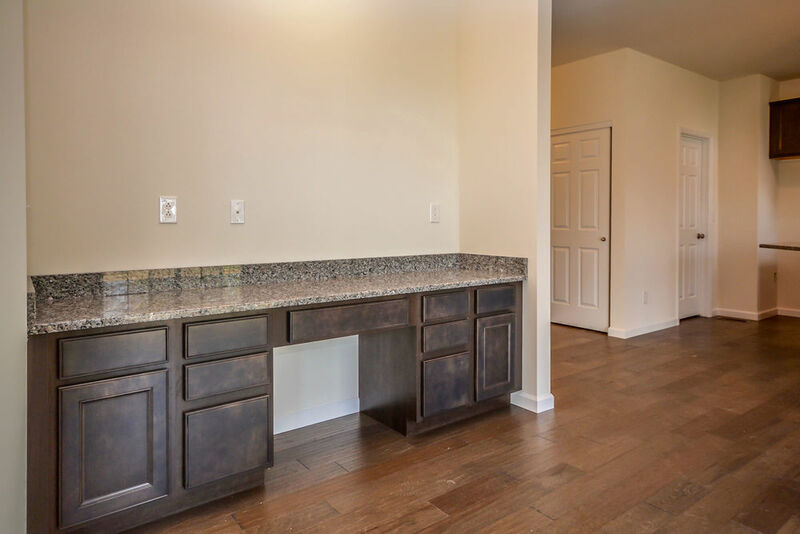 The kitchen boasts new cabinetry, plenty of counter-space, and stainless steel appliances. Curl up in front of the gas fireplace with marble surround in the large great room. 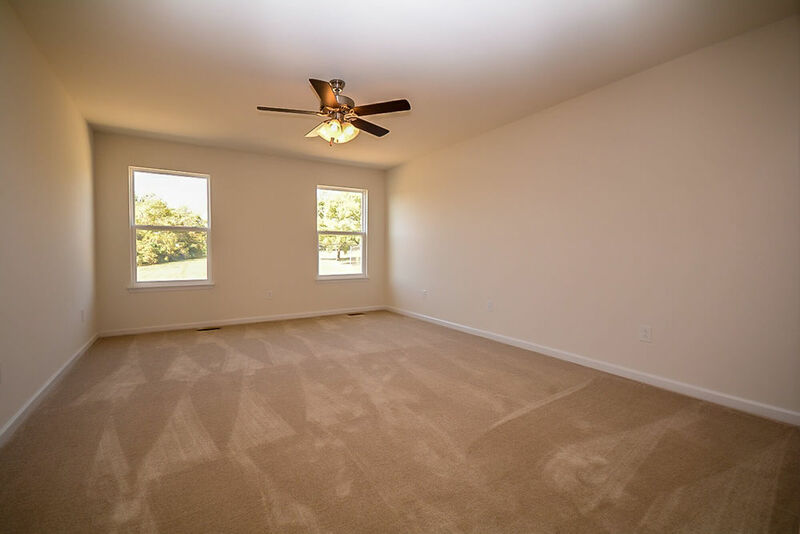 This split floor plan allows for privacy for the graciously sized master bedroom. 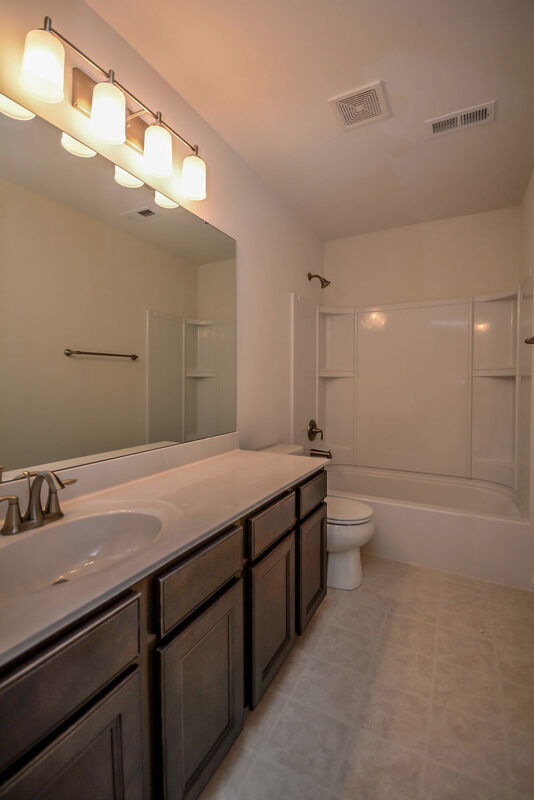 The spacious master bathroom has a double-bowl adult height vanity and a corner tub. The basement is roughed in for an additional bath & opportunities abound for future living space! There is plenty of room on the lower 12 x 12 patio for grilling while you enjoy your time outdoors. The luxury model upgraded features can include spindled railing to the lower level, 6 Panel doors, satin nickel hardware, brushed nickel lighting package, island in the kitchen, granite counters, 3 car garage and a upgraded master bath with a corner tub and separate shower. Welcome home! 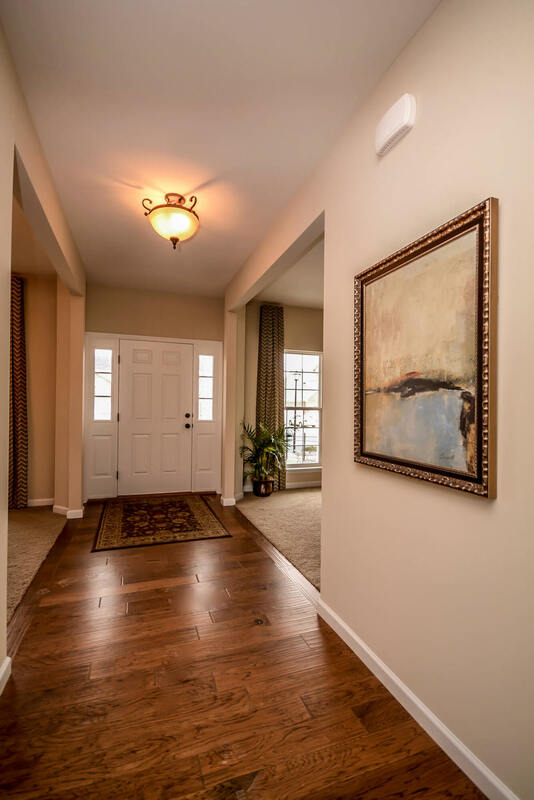 Hardwood flooring leads you into this beautiful home with 9ft ceilings on the main level. 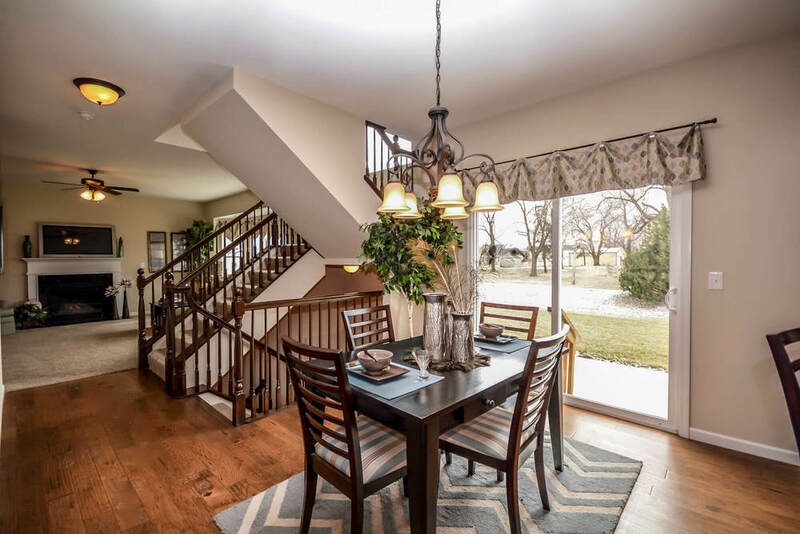 Host family dinners or gatherings with friends in the dining room directly off of the kitchen. 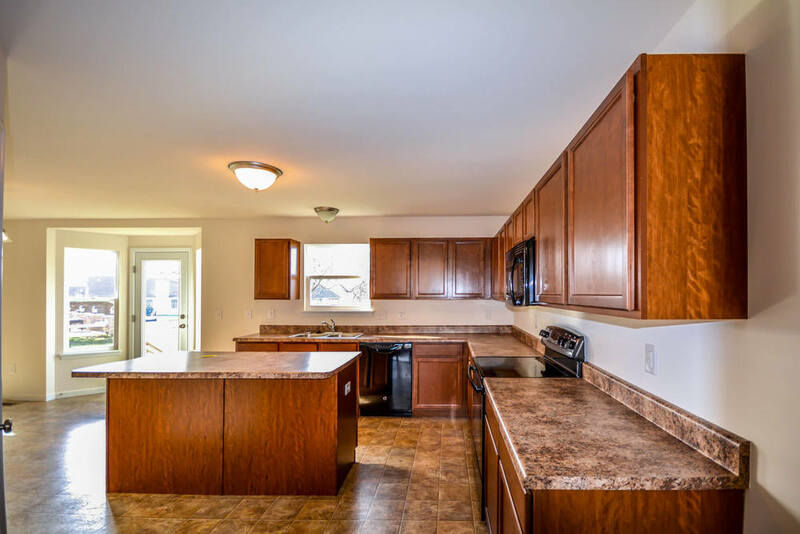 The kitchen offers recessed lighting, nice kitchen cabinets, stainless steel appliances, and a walk in pantry. The Breakfast Room and Kitchen are an open concept style - making entertainment ideal in this home. The Breakfast Room flows directly into the family room. 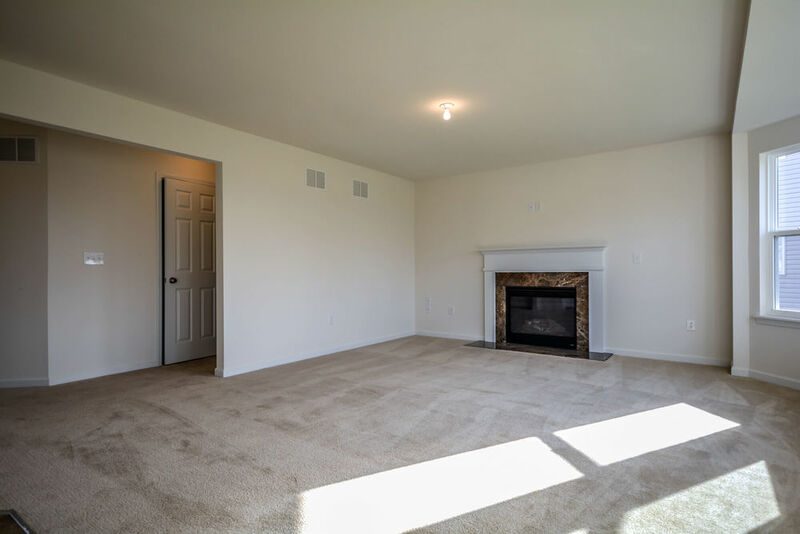 Curl up in the large family room in front of the gas fireplace with marble surround. 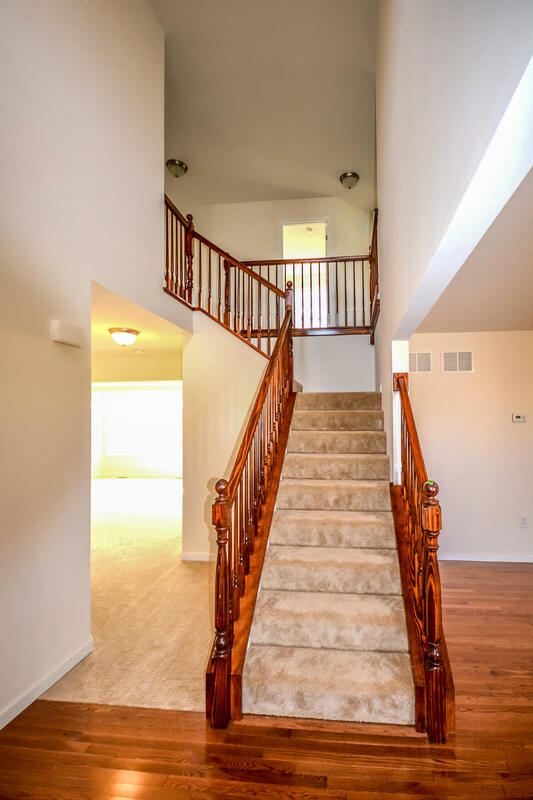 Head upstairs via the open staircase with spindled railing to the second floor where you will find 4 bedrooms. 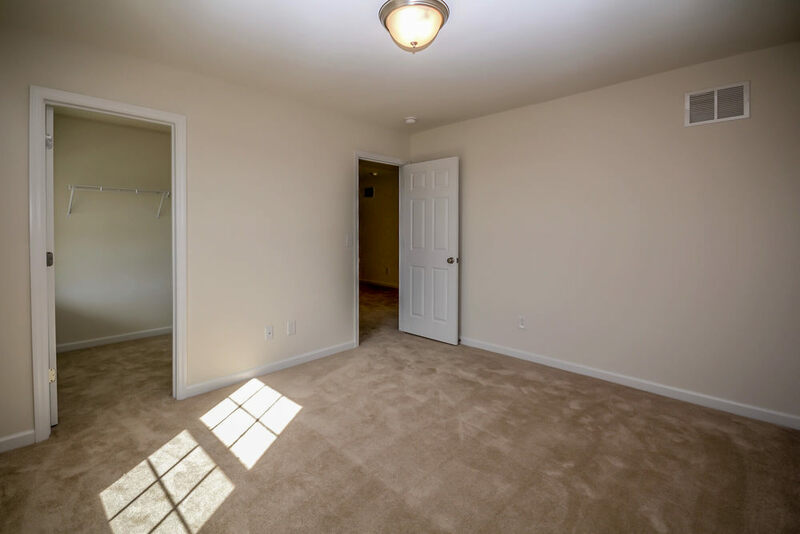 Find an expansive master suite with coffered ceiling and a HUGE walk in closet! The Luxury Master Bath offers a garden tub with a fixed window above and adult height vanity. Three additional graciously sized bedrooms and full bath round out the 2nd level. Bedroom 3 also offers a walk in closet. There is plenty of room on the patio for grilling while you enjoy the outdoors. This home offers Dual Zone heating & cooling. The basement is roughed in for an additional bath & opportunities abound for future living space! 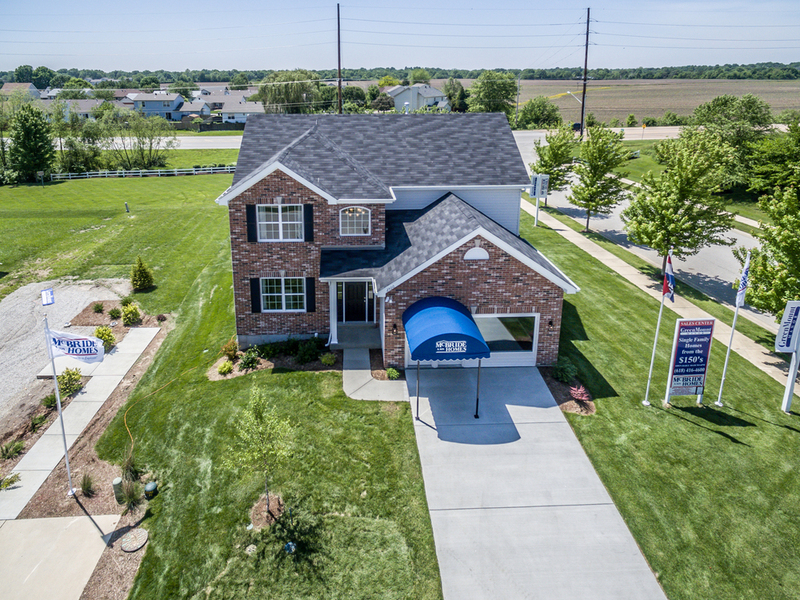 Stone Bridge Estate is located in the beautiful city of O’Fallon, Illinois and is approximately 15 minutes from Scott Air Force Base. 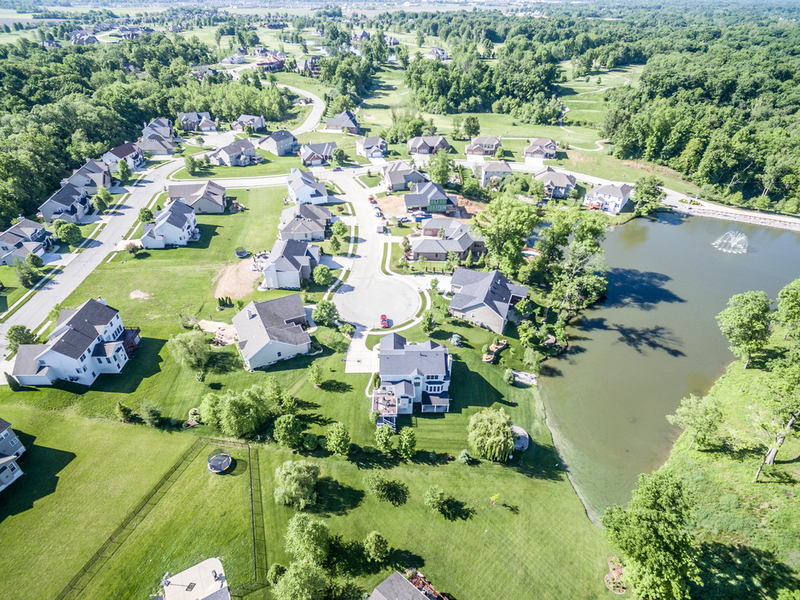 Its proximity to Interstate 64 makes this community easily accessible to and from St. Louis. 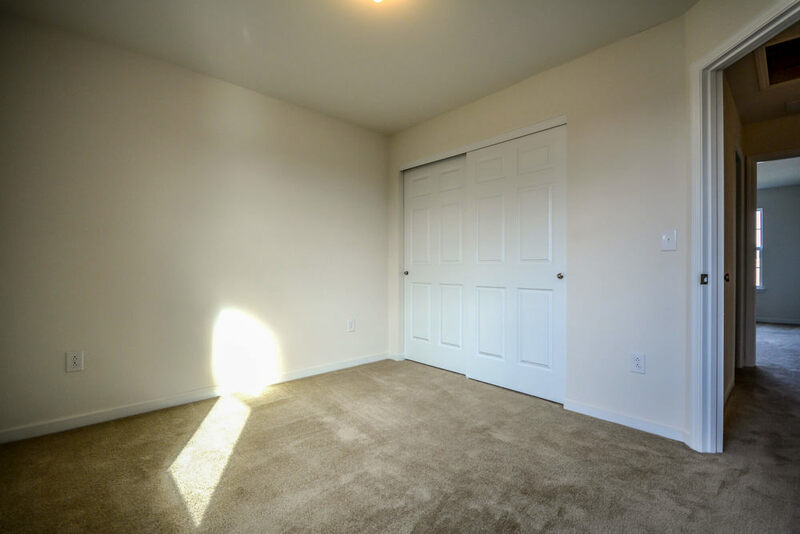 This community features 10 various floor plans options and pricing starts from the $170,000’s. 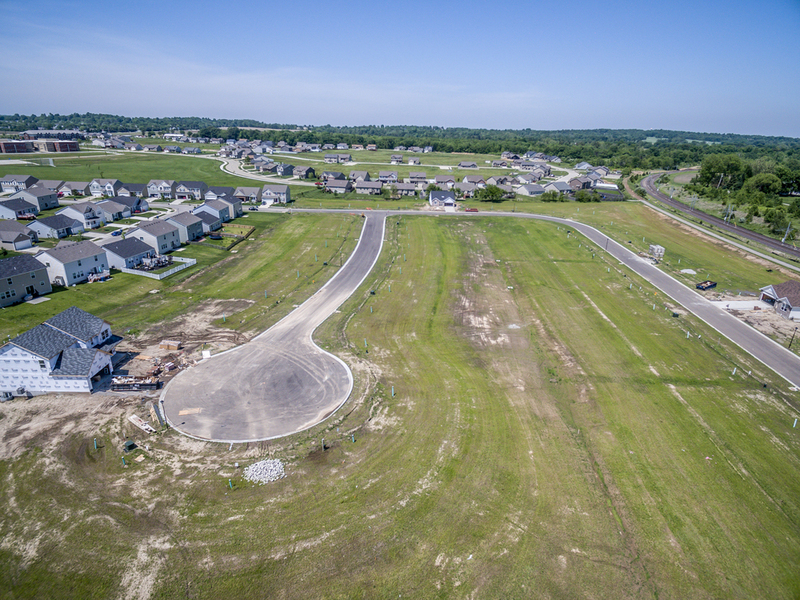 The Woodland at Far Oaks includes 119 new construction homes on oversized lots and provides homeowners with a unique opportunity to live in a golf course community. The Woodlands at Far Oaks surrounds the Far Oaks Golf Club, which is one of the most prestigious golf courses in St. Louis region. 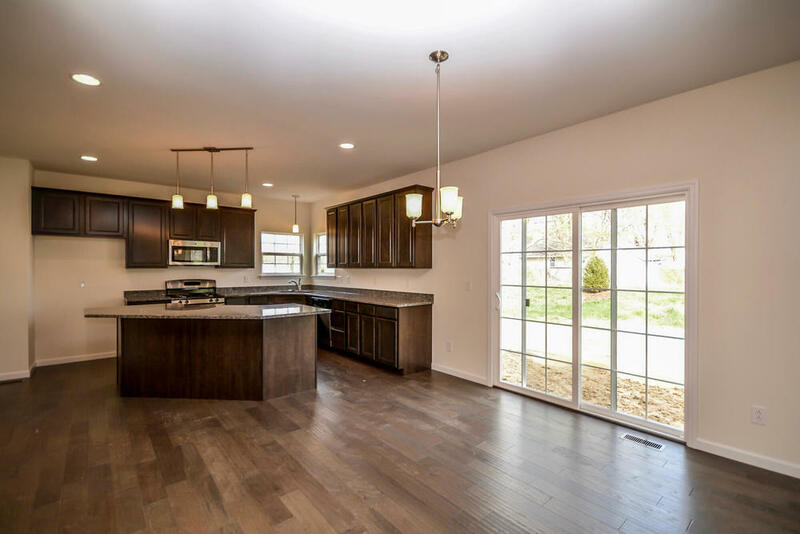 McBride Homes offers 7 different new construction models to choose from in this subdivision including ranch homes as well as 1½ story and 2 story homes. 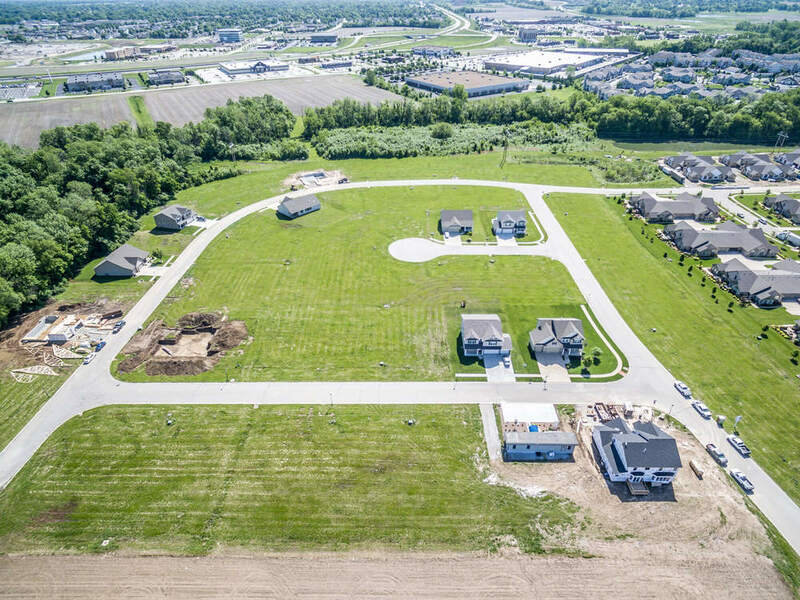 The Woodland at Far Oaks is roughly 20 minutes from Scott Air Force Base and is located within the O’Fallon School District. 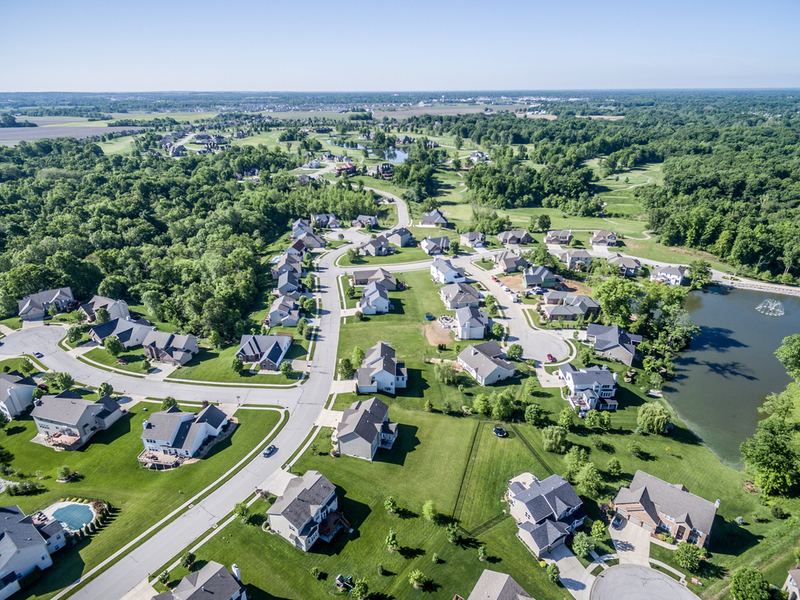 It’s strategically located close to Interstate 64 and Highway 159 making it easy to access other areas, like O’Fallon, Belleville, Mascoutah, Scott AFB, Swansea, Fairview Heights, and the downtown St. Louis. St. Louis is roughly 20 minutes from the Woodlands at Far Oaks. Green Mount Manor is located in Belleville Illinois and is located within the respected Mascoutah School District. Green Mount Manor is located just off Green Mount Road and is less than 10 minutes from Scott Air Force Base. 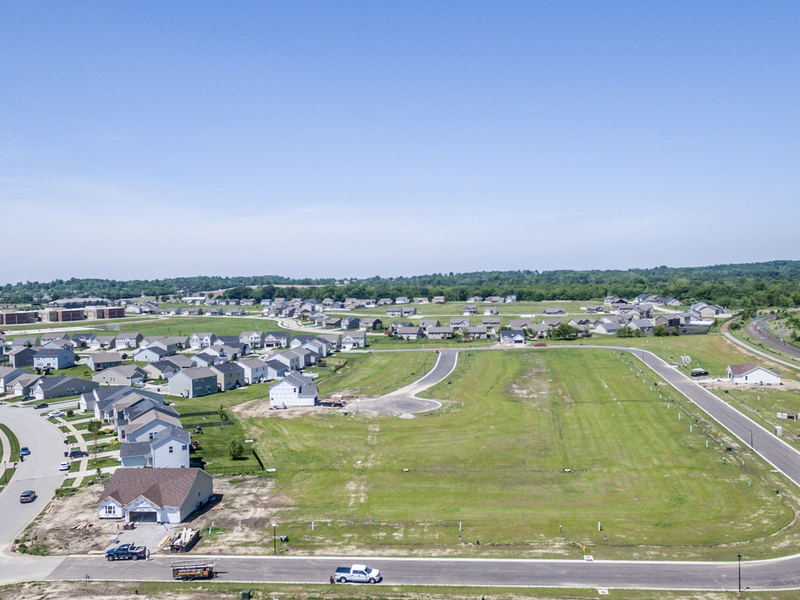 Another added feature of this subdivision is its proximity to Wingate Elementary School which is within walking distance. 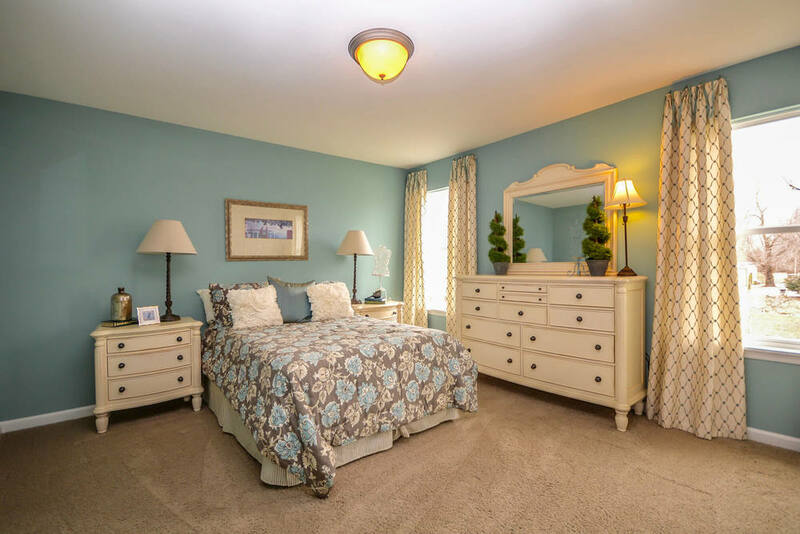 Pricing in this community starts at $150,000 and there are several ranch, 1½ story and 2 story homes to choose from. 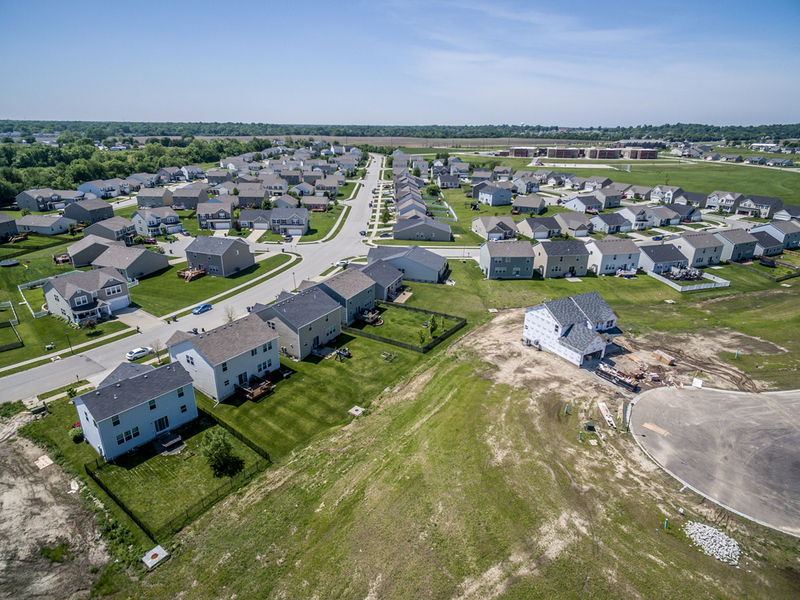 McBride is currently building numerous inventory homes.